Swooning over my design wall still. I'm done with the biggest blocks (24") because I'm out of full fat quarters. 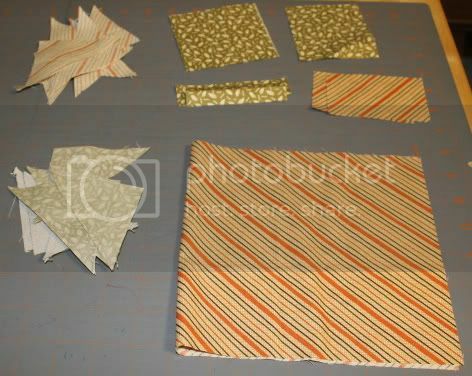 I double-seamed the flying geese and saved the HST leftovers to see if I could reuse them in a 16" block. The answer is...yes but... 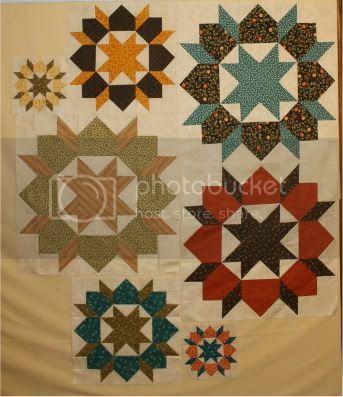 There is just enough of Fabric B (the star) to do the same Fabric B in the smaller block. However, I don't want repeats in the same place, so I'm saving the HSTs for another project or the back. Of course, there's plenty leftover of both fabrics from double-seaming the 16" flying geese, so those will get re-used in the 8" block and save me a few minutes of cutting and sewing.